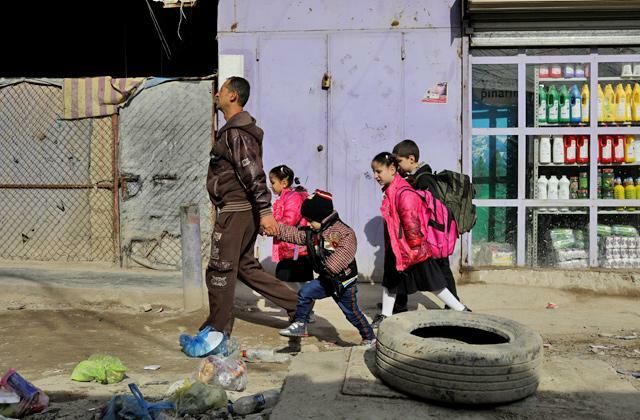 BAGHDAD — A year after the Iraqi parliament voted to strip Palestinians of the equal-rights status they enjoyed under Saddam Hussein, Palestinians living in Iraq feel marginalised and vulnerable. Last year parliament rescinded legislation that guaranteed Palestinians rights and privileges enjoyed by Iraqi citizens — from eligibility for state jobs and free education to receiving pensions and food items from a government subsidies programme. The law had been decreed by Saddam, the longtime strongman president who was executed in 2006 after being ousted three years before by the US-led invasion of Iraq. Many Palestinian families have seen their economic situation deteriorate since parliament’s action — and those interviewed by Reuters were keen to find refuge in other countries — but this was not the start of their difficulties in post-Saddam Iraq. As predominantly Sunni Muslims, Palestinians have been increasingly viewed with suspicion by Iraq’s Shiite Muslim majority, who were at times persecuted under the Sunni Saddam. Iraqi security forces have carried out repeated raids in search of suspected extremist militants among Palestinians living in predominantly Shiite areas. Late one night in 2015, Fawzi Al Madhi’s evening was disrupted by a loud banging on the door. When Madhi, 56, opened the door, a SWAT team knocked him over and searched his flat. The security forces left after arresting the couple’s two sons Mihad and Abdul Rahman — on what grounds, their father said he still does not know. Fearing for their lives, Madhi sent Abdul Rahman and another son, Mohammed, 25 — who avoided arrest by staying in the home of a relative — to Turkey a month after Abdul Rahman was released. Portraying himself as a defender of the Palestinian cause for statehood, Saddam gave them subsidised housing and the right to work — rare privileges for foreign refugees that bred resentment among many Iraqis. “We want an immediate exit from Iraq to any other country whether an Arab or [other] foreign state. We’re tired and fed up, we’ve run out of patience,” he said in his shop on a narrow dusty road fouled by uncollected garbage and overflowing sewage.